In the Church of St Bartholomew the Less (the chapel for St Bartholomew's Hospital). WAS IN TURN MORTALLY WOUNDED. 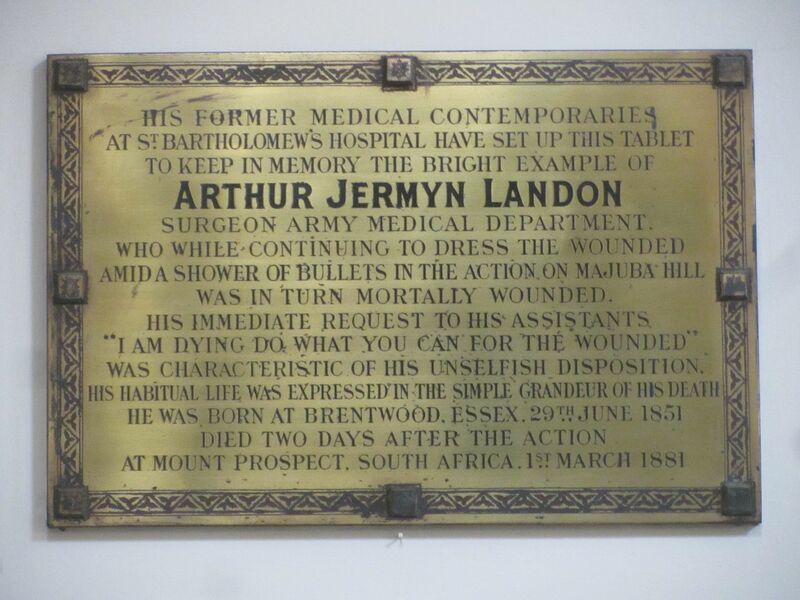 "I AM DYING DO WHAT YOU CAN FOR THE WOUNDED"
WAS CHARACTERISTIC OF HIS UNSELFISH DISPOSITION. That is a very fitting memorial for Dr Landon. Thank you for sharing that, Berenice.